I am a freelance writer (contact me if you'd like anything written on any topic!). 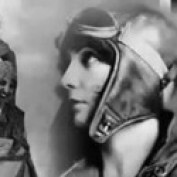 I publish two webzines: The Thunder Child (science fiction) and Winged Victory: Women in Aviation. I also write fiction - mostly fan fiction such as Star Trek (not only the original series but the ONLY series!) The Avengers, and NCIS. My hub pages will be devoted to a variety of topics. My fiction is represented by Germanica, a serial that takes place during WWI Germany, and is intended to teach the reader German vocabulary. I will also write both fiction and non-fiction book reviews. I will also contribute pages on my expertise, aviation, with an emphasis on women in aviation. I will also write pages on another interest of mine...oceanography. Space exploration is another interest, but there's a surfeit of information on that subject. But very few people write anything about oceanography!